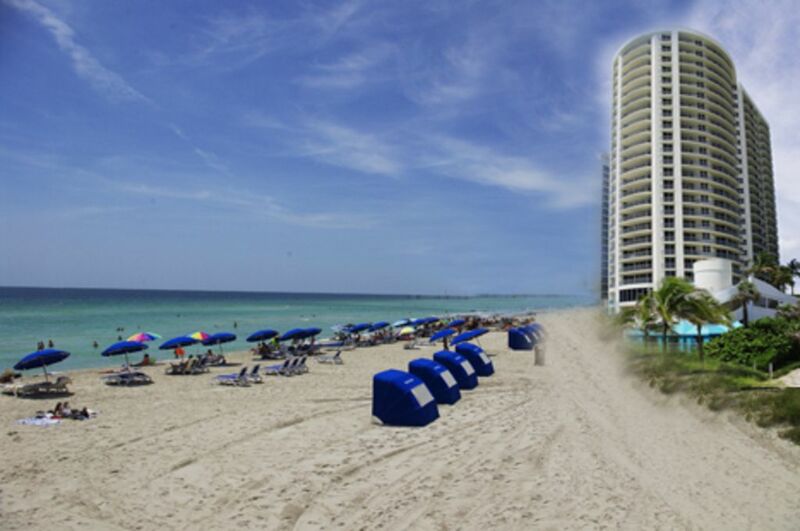 Beautiful condo in a 5 Star Condo Hotel building in Sunny Isles Beach, Florida. Two bedrooms and two bathrooms, featuring a king size bed in the master bedroom, 2 double beds in the second bedroom and a pull-out couch in the living room, comfortably accommodates at least 6 people. Unit contains everything you need to feel as though at home; fully stacked kitchen, linens, towels. • Spectacular meeting rooms •Comprehensive guest services. The building is within walking distance of the restaurants, cafes, bars, boutiques, grocery stores, pharmacies and a multitude of other local services. Being part of Ocean Pointe Resort brings many amenities! There is a chill vibe with the staff, which makes it easy to relax at the pool and beach. Our group was 4; 2 parents, 2 adult children. The unit itsellf could use some updating, but nothing interferes with our comforrt. THE VIEW IS AMAZING for sunrise over the water! The kitchen is fully stocked with cookware, coffee maker, blender(for your dacquiries) toaster, spatulas and bakeware. Appliances work well, especially the dishwasher. Oven mits, dishcloths and dish drain are provided. BRING: dish detergent and dishwasher detergent, paper towel, napkins and hand soap. Paper plates, plastic cups and plastic silverware if you prefer not to do dishes after each meal. Washer and dryer it works well and fast. A basket is provided. BRING: detergent, stain treatment & dryer sheets. MASTER BATH: one outlet in center of vanity. Plenty of storage space. Initial body wash, shampoo, bar soap provided. 1 bath towel, hand towel and wash cloth provided per person. Extra towels in walk in closet. GUEST BATH: same towel and amenities Smaller in size. BEDROOMS both have water view balconies. 3 seats, 2 tables total. was wonderful to work with. He replied quickly to any question we had. Thank you for your review! We were not aware you were not completely satisfied. Had we known about the problem with the shower, we would have addressed it immediately. We go to great lengths to keep our condos clean, but sometimes, hard water stains are difficult to remove. The beachfront location was the best. It was great having the ability to order food and drinks poolside or beachside which we don't normally get with a timeshare or VRBO rental. There was plenty of room. Loved that the condo had all hard surface floors. Large TV's in both bedrooms and living room was great. My family and I had a great trip to Sunny Isles. The Condo appears as pictured. 1 king and 2 queen beds. The condo was very clean. The highlight of the unit was great view of the ocean. The condo is located inside of Double Tree Hotel. It has a clean swimming pool and beach is busy but beautiful. There is a lot do in the area with several good restaurants close by and shopping at Aventura Mall. The unit also comes with valet parking at no additional cost. It was a great location for a relaxing week at the beach. Great condo, two thumbs up! Great condo right on the beach. Clean and cozy, well stocked. We spent our winter vacation in Sunny Isles and were very happy with this place. It met the description perfectly and accommodated the four of us comfortably. As promised, the building was right on the beach, with restaurants and plazas right across the street from it. Rates are subject to change until dates are confirmed. Minimum stay is 3 months. New Year / Christmas holidays are 14 night minimum stay with $450 per night rate.